Description: Game Instructions: This is one of those amazing games in which you need to come and see how exactly are you going to dress up this cute monster girl. Her name is C.A. 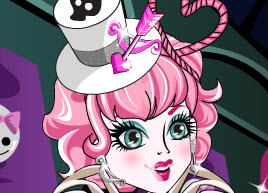 Cupid and she is one of those amazing Monster High girls. Keep that in mind and choose perfect outfit for your unique model.